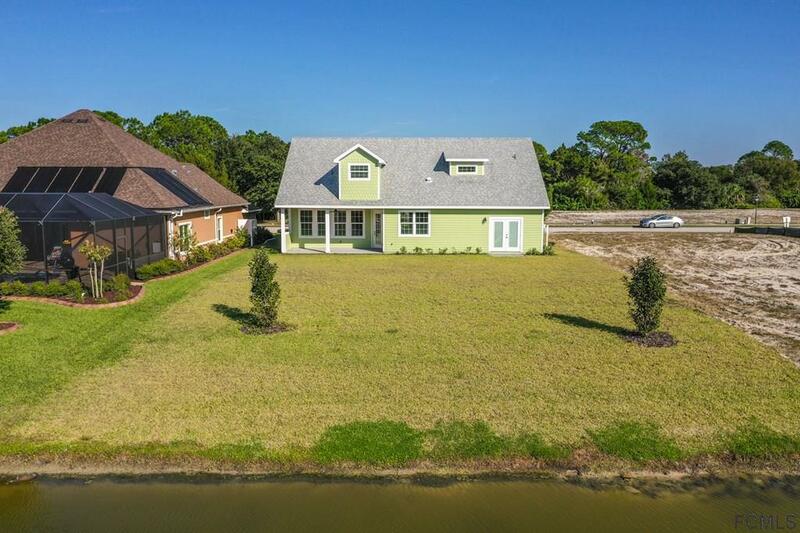 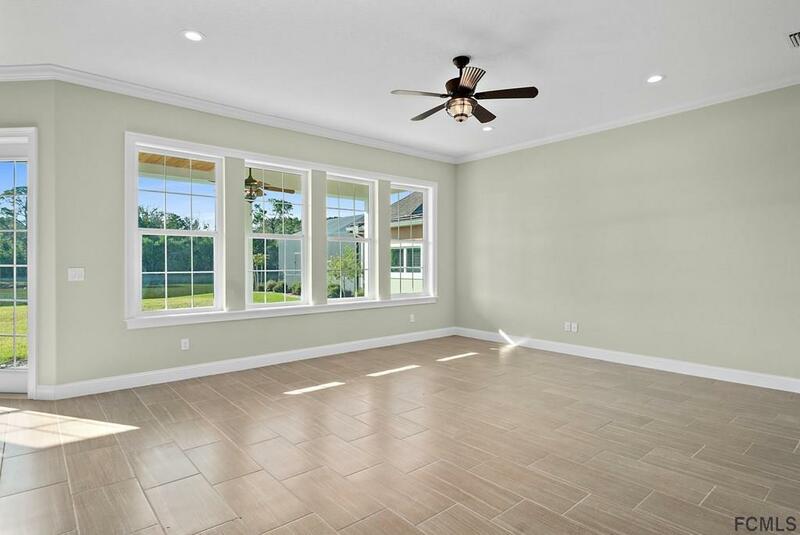 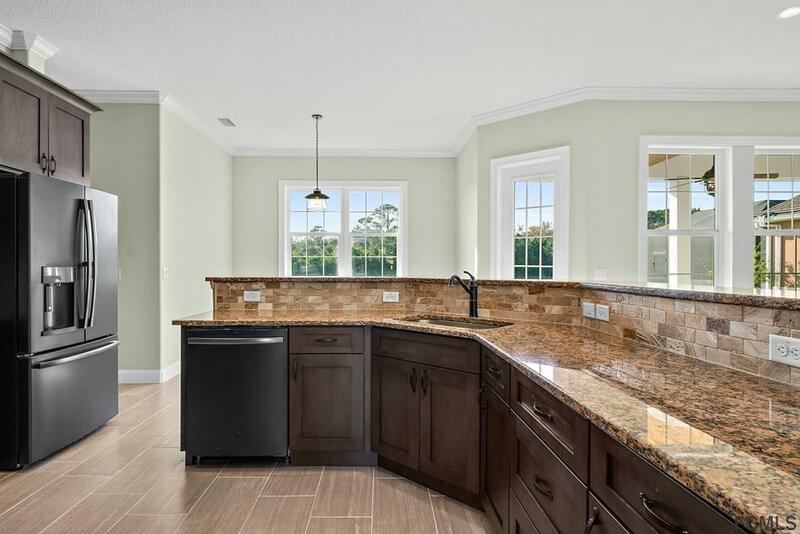 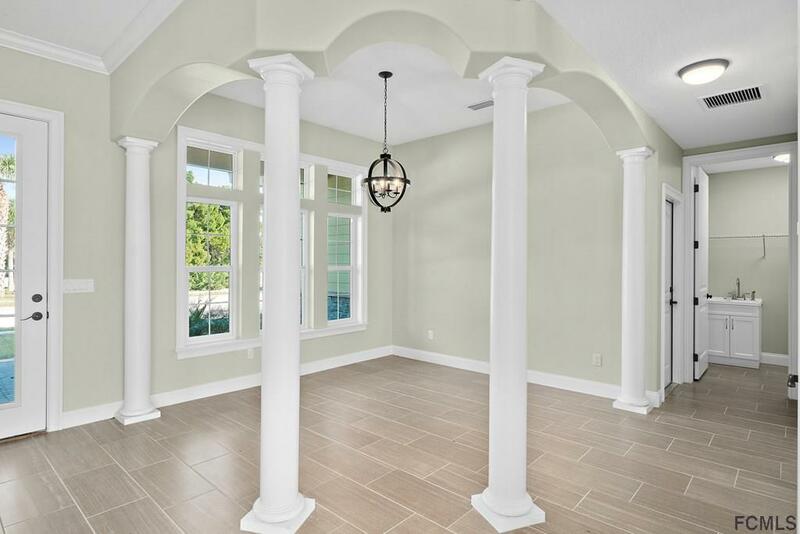 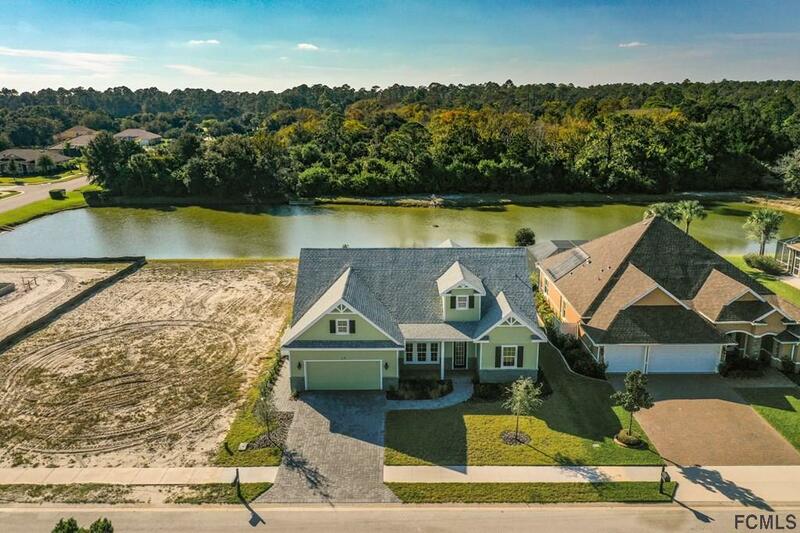 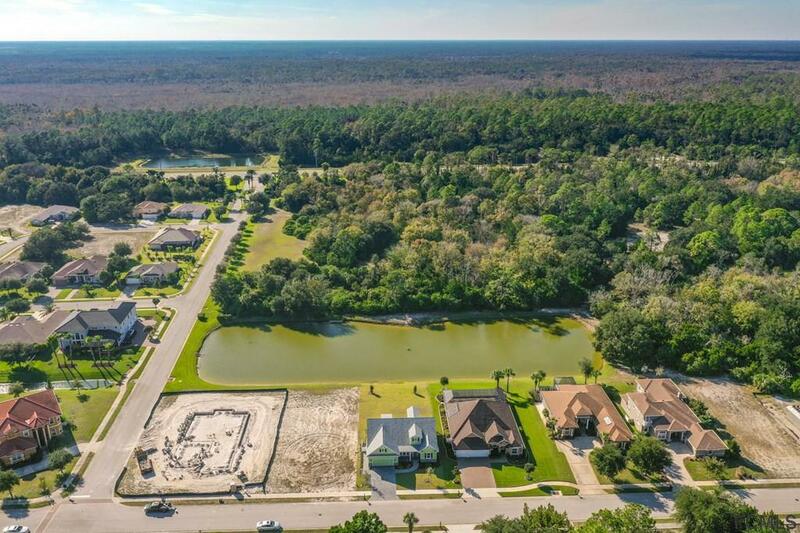 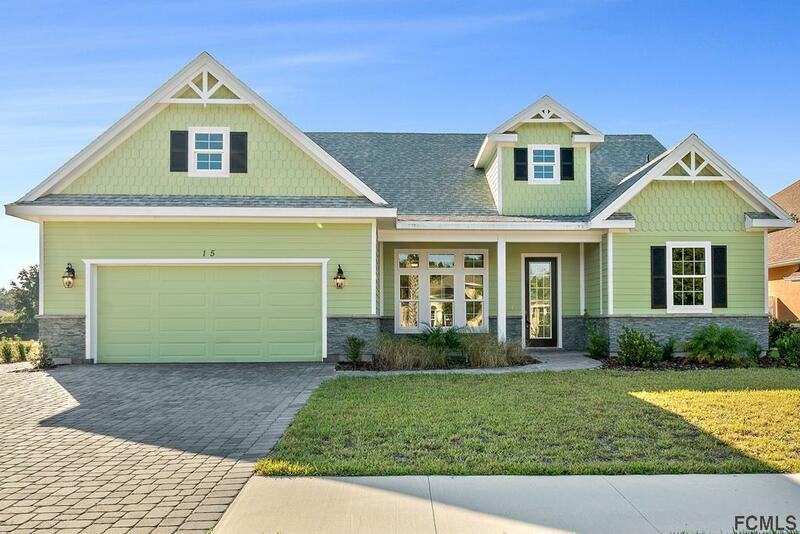 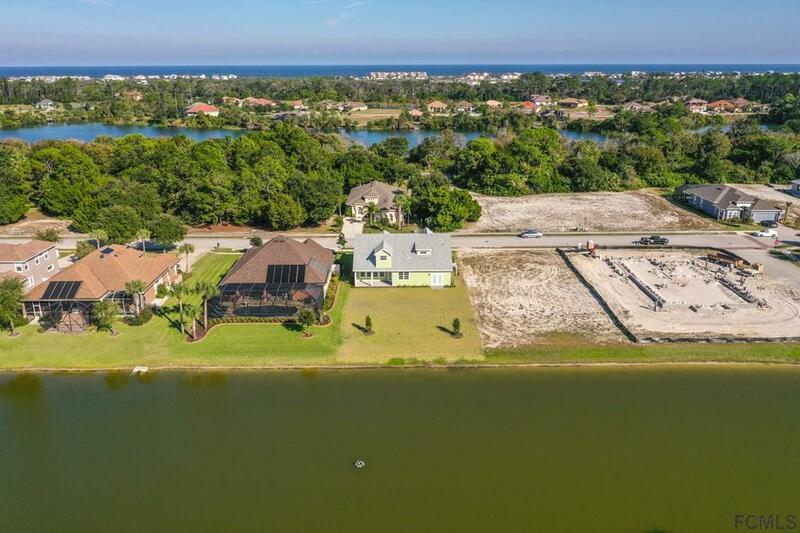 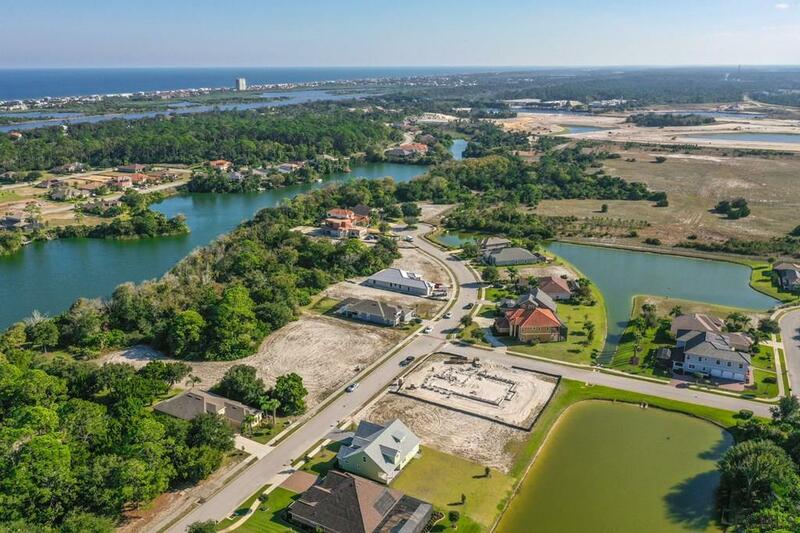 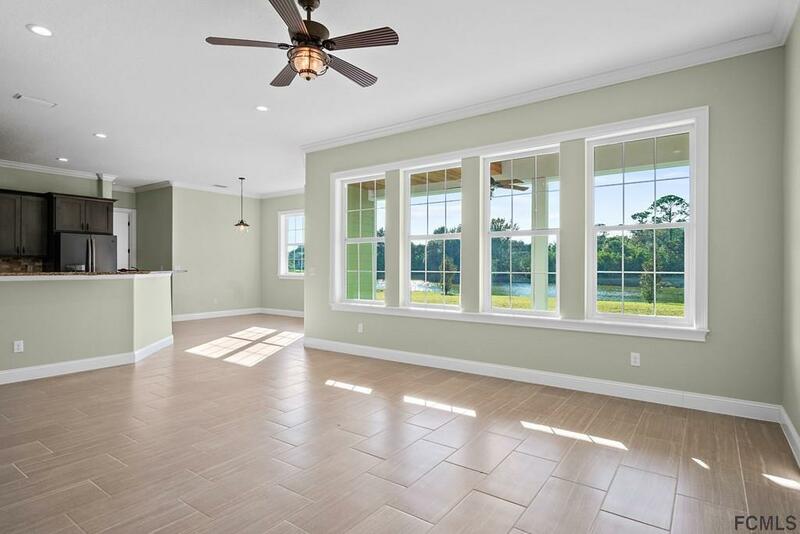 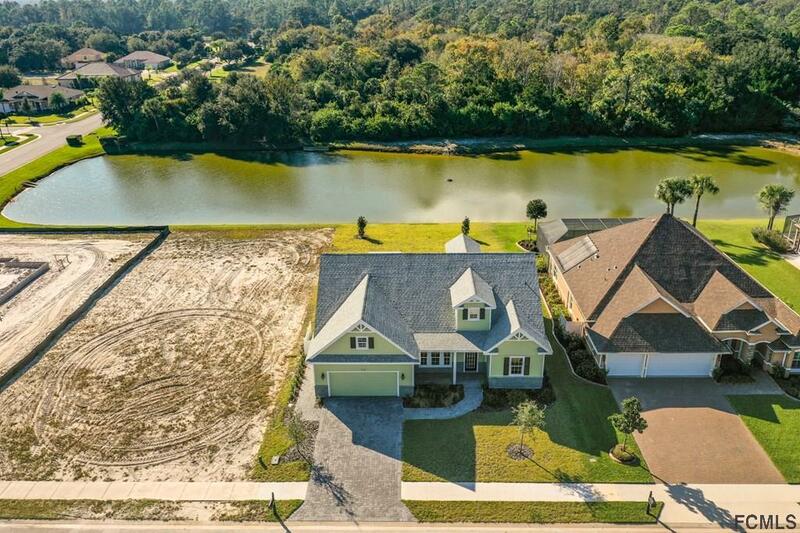 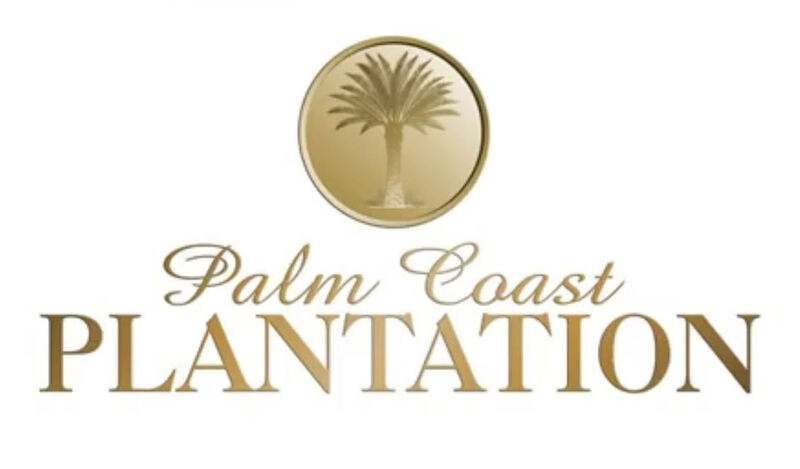 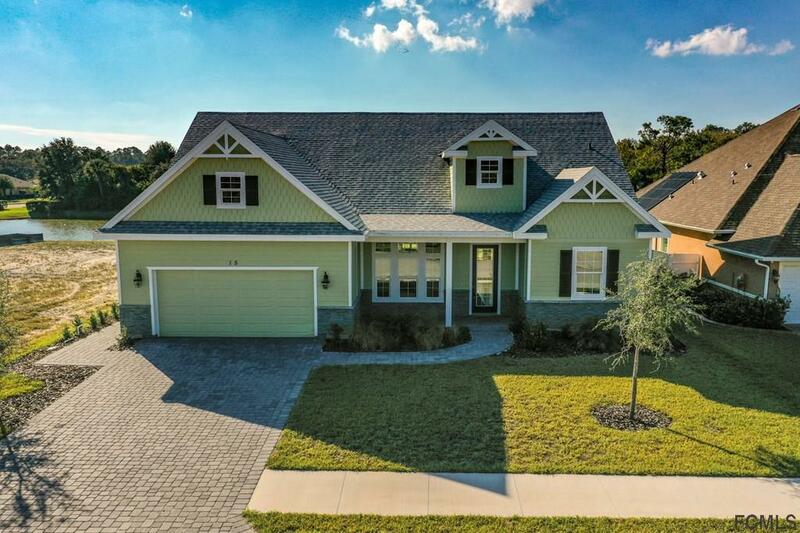 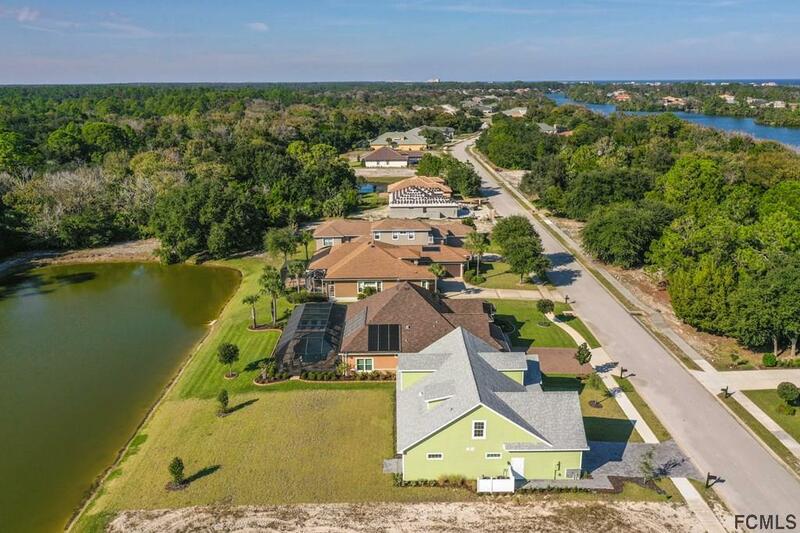 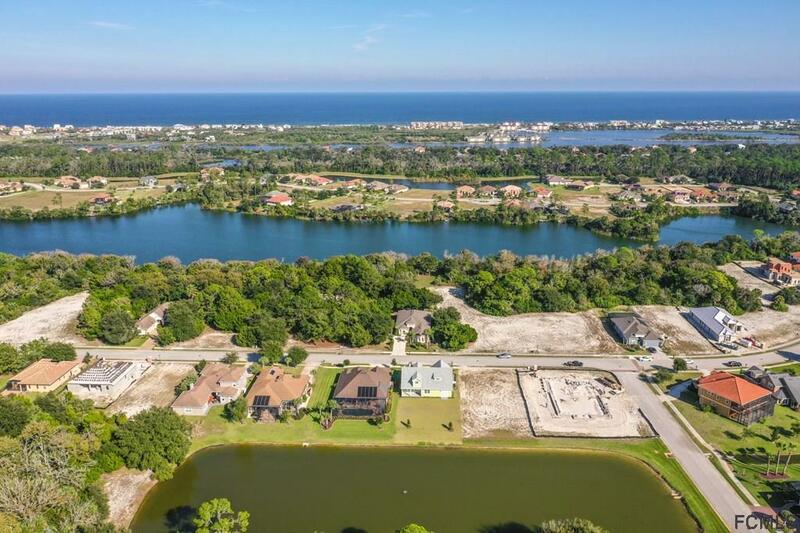 Distinguished large move in ready 5 bedroom custom built home on waterfront lot in Palm Coast Plantation that offers a community pool, tennis courts, fitness center, children's area located along the intracoastal waterway. 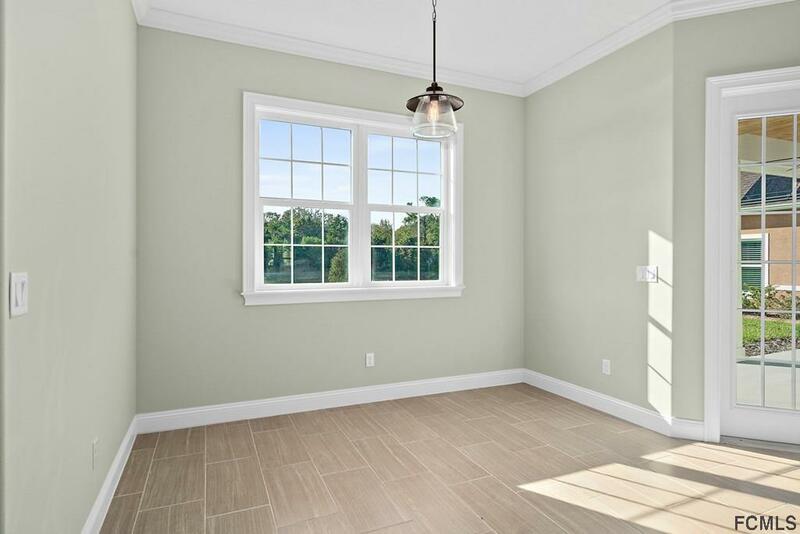 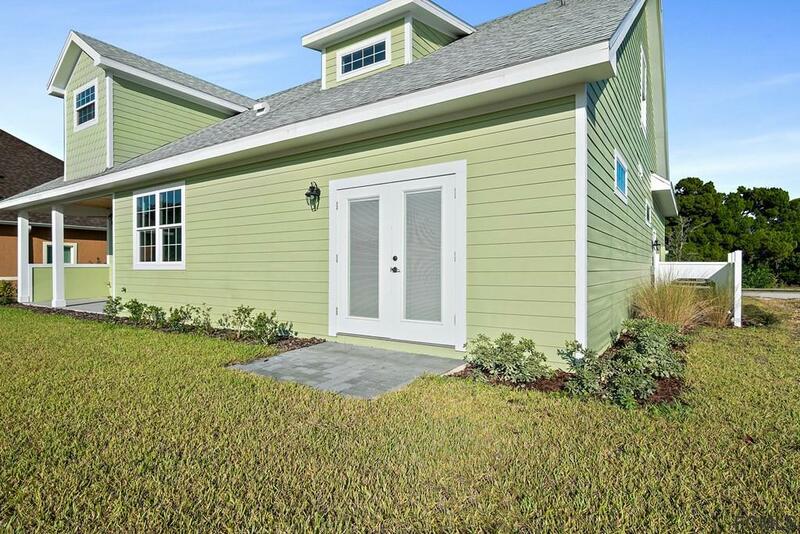 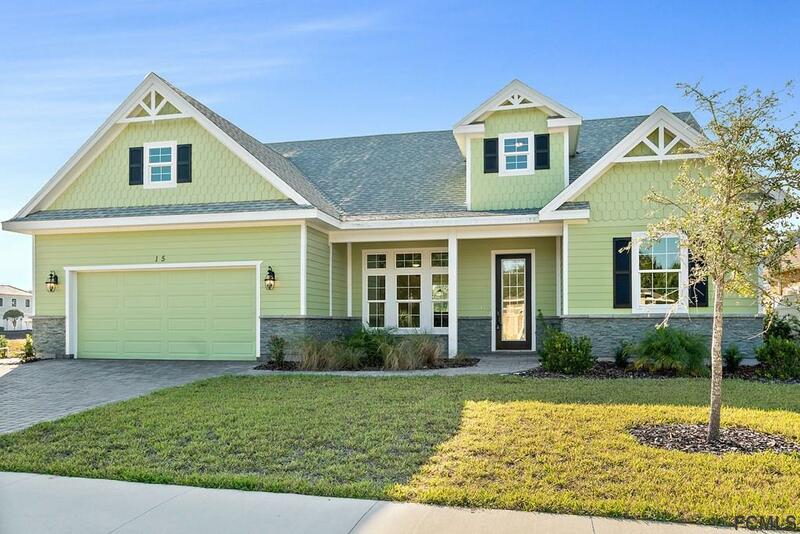 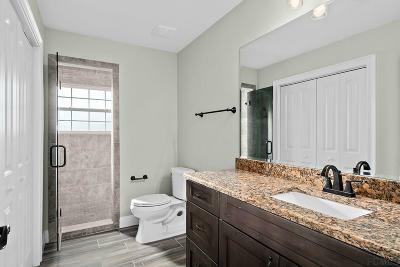 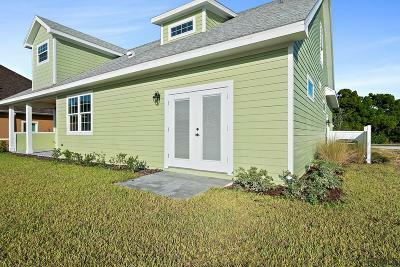 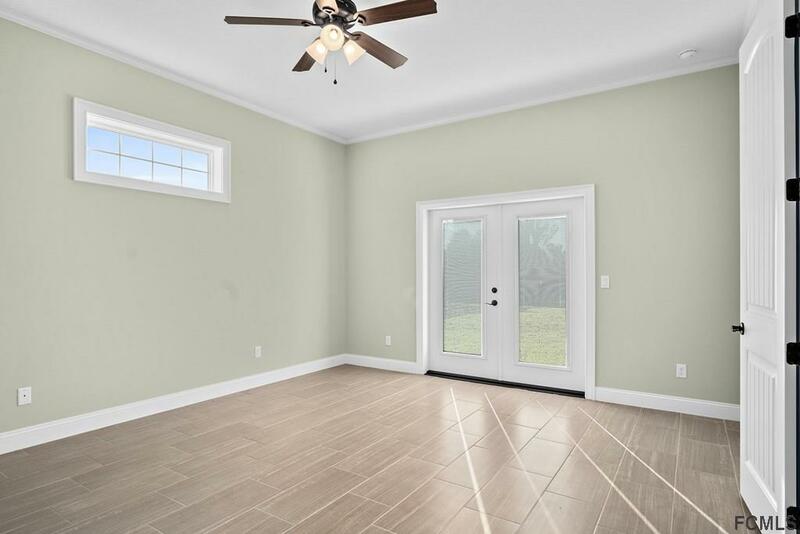 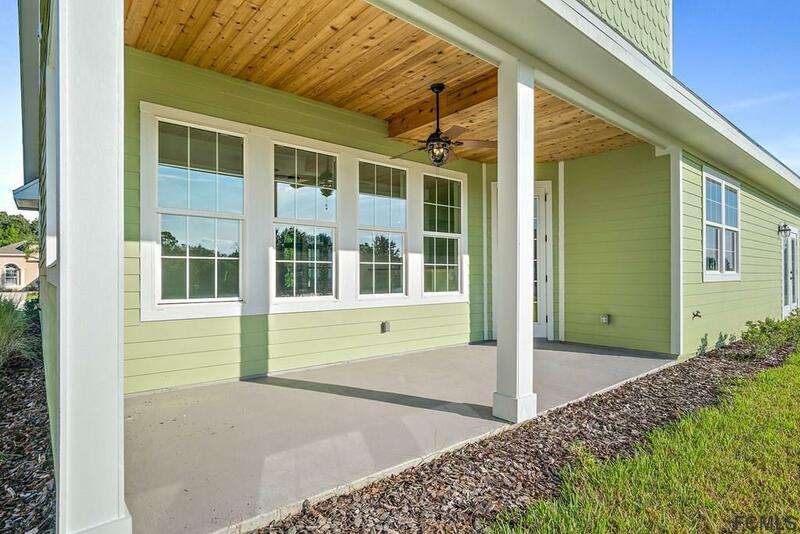 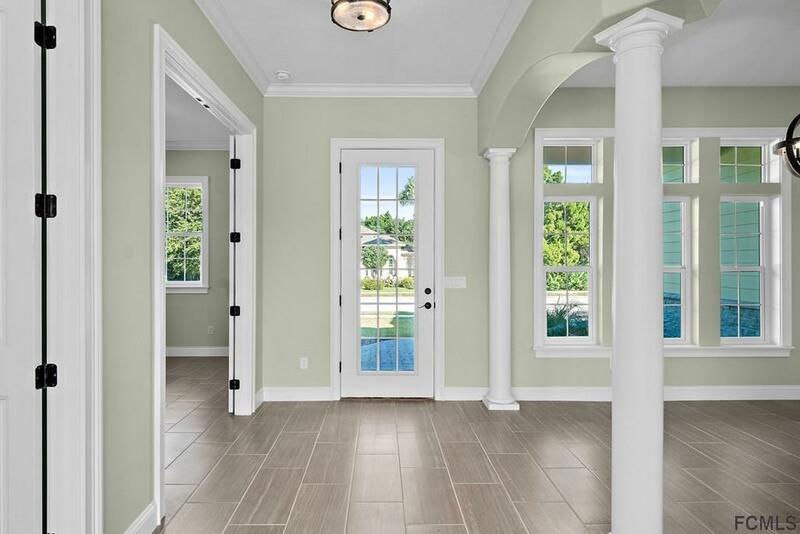 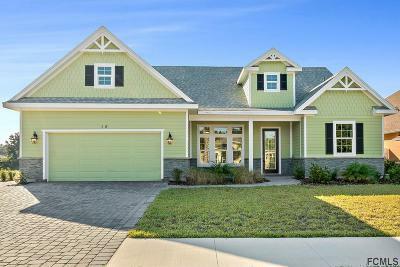 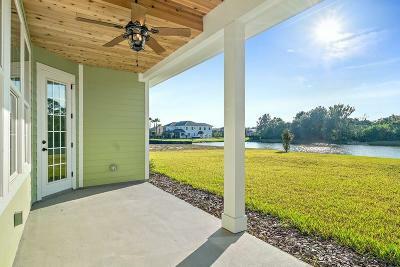 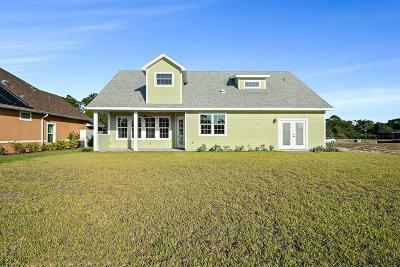 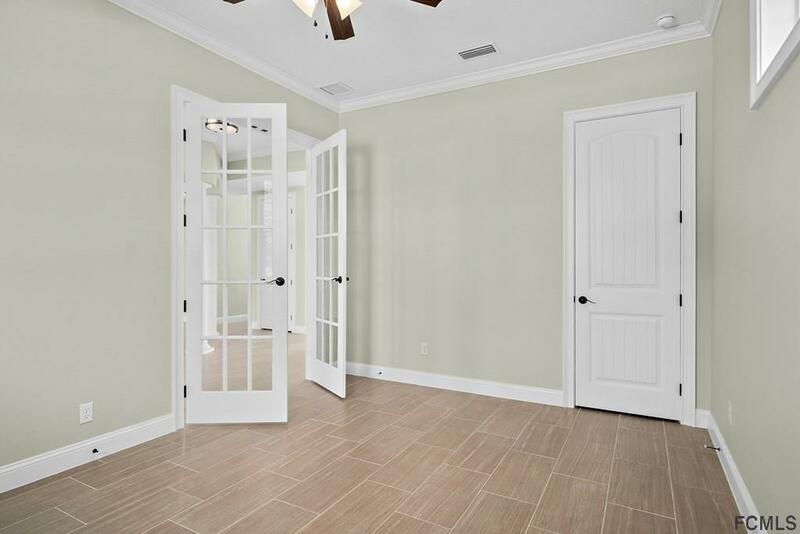 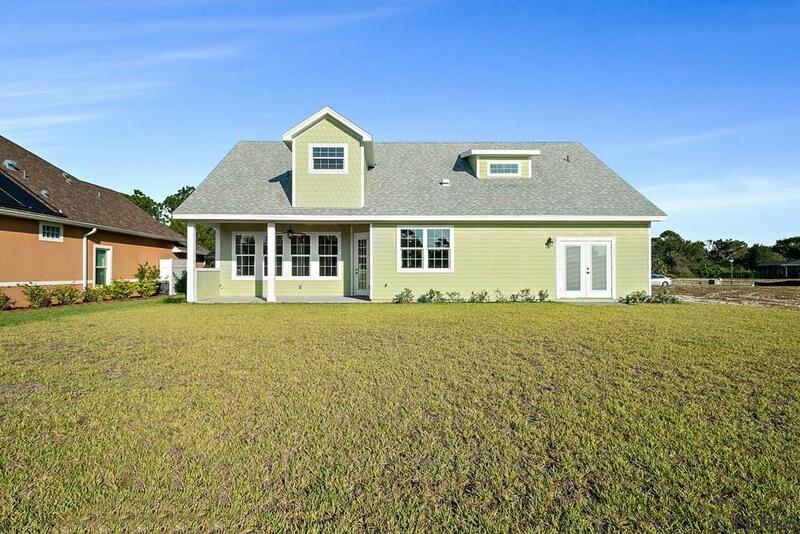 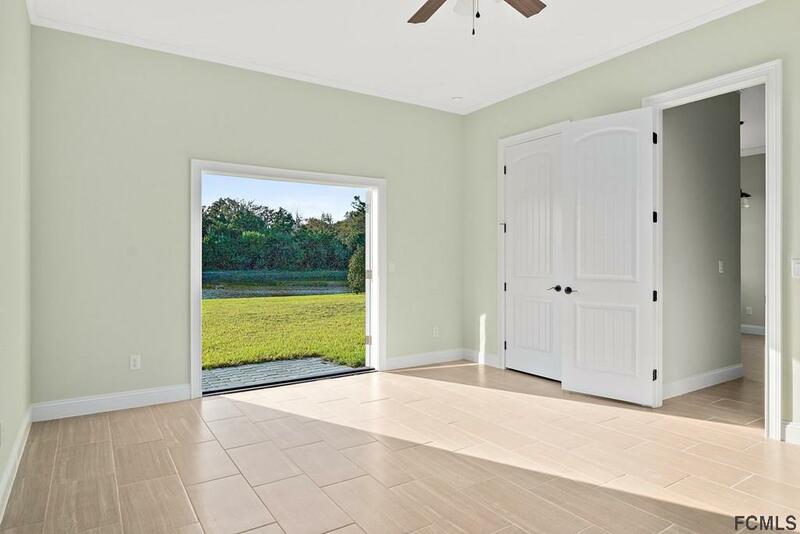 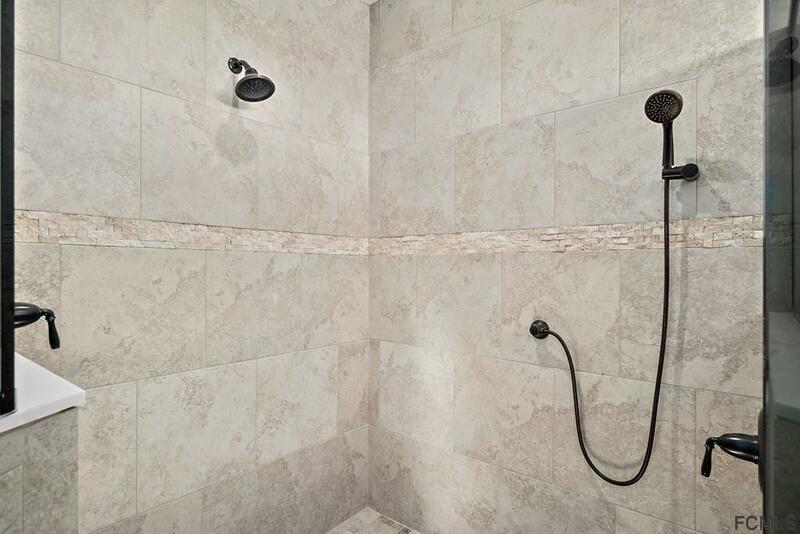 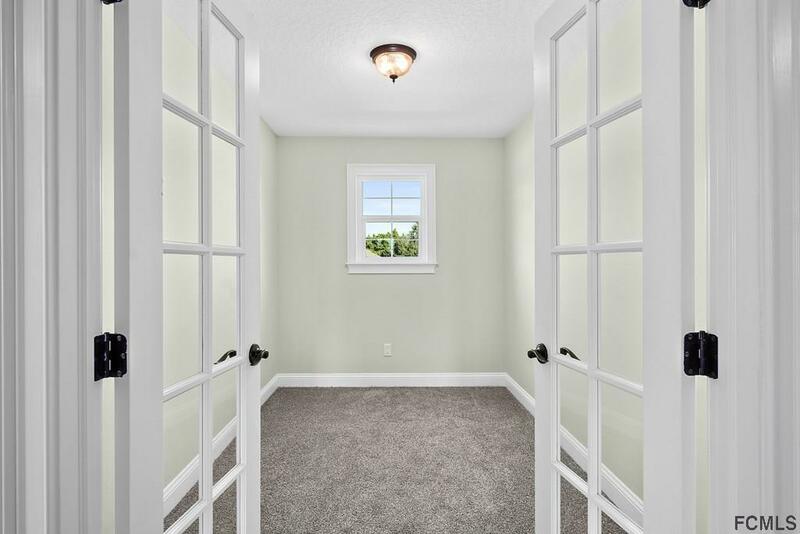 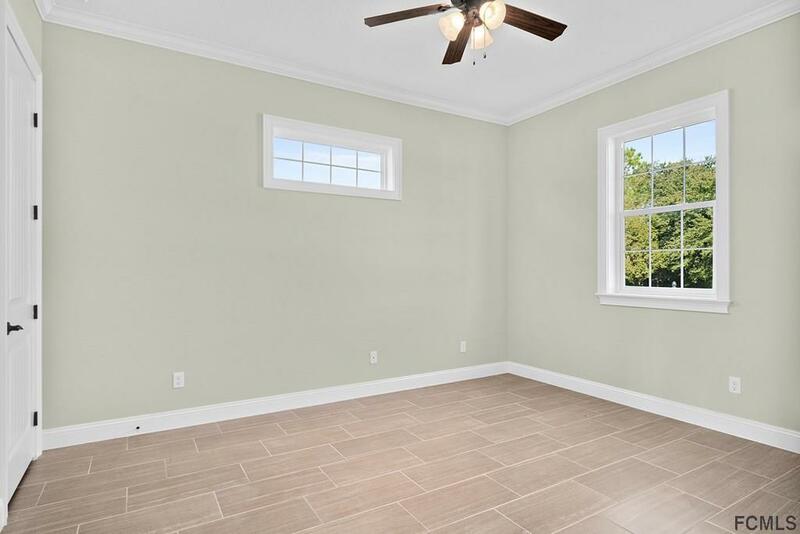 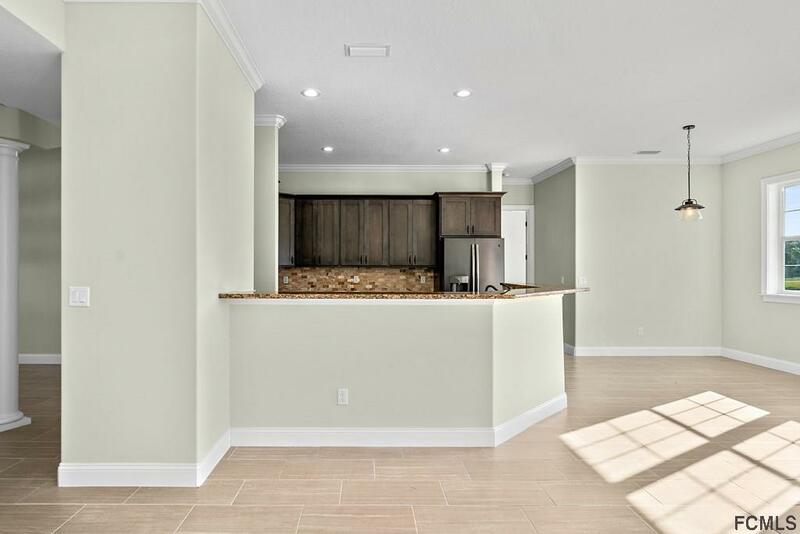 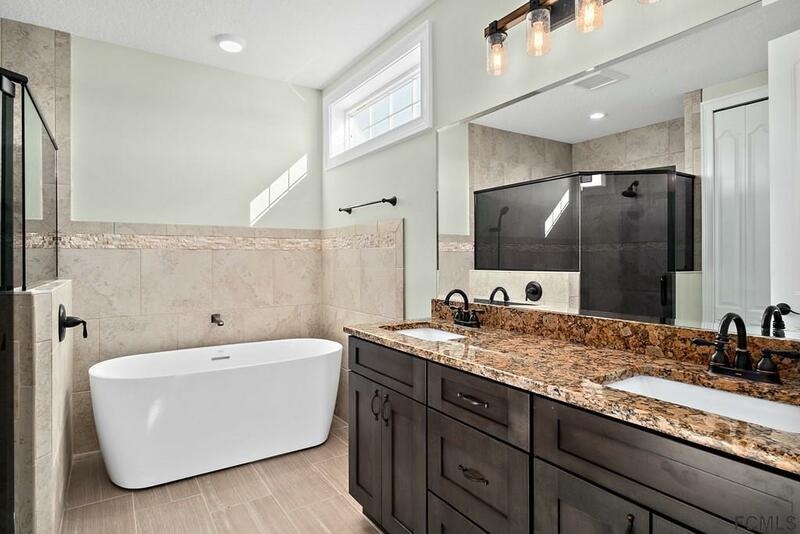 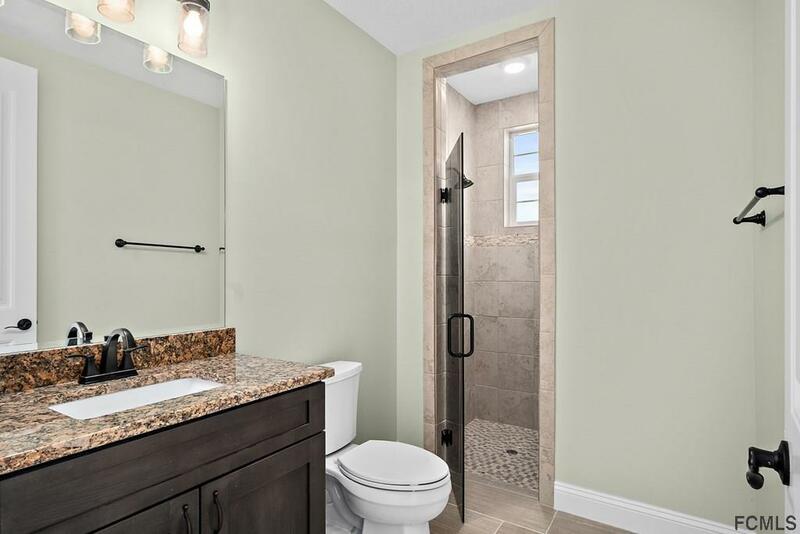 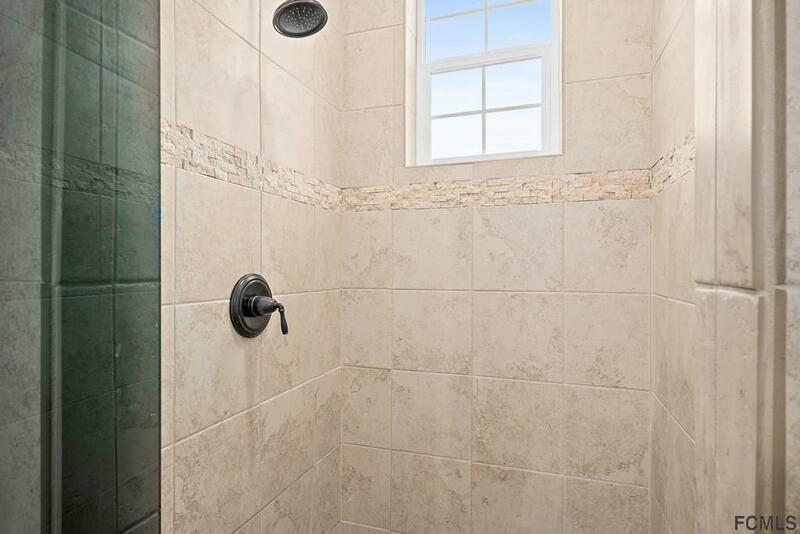 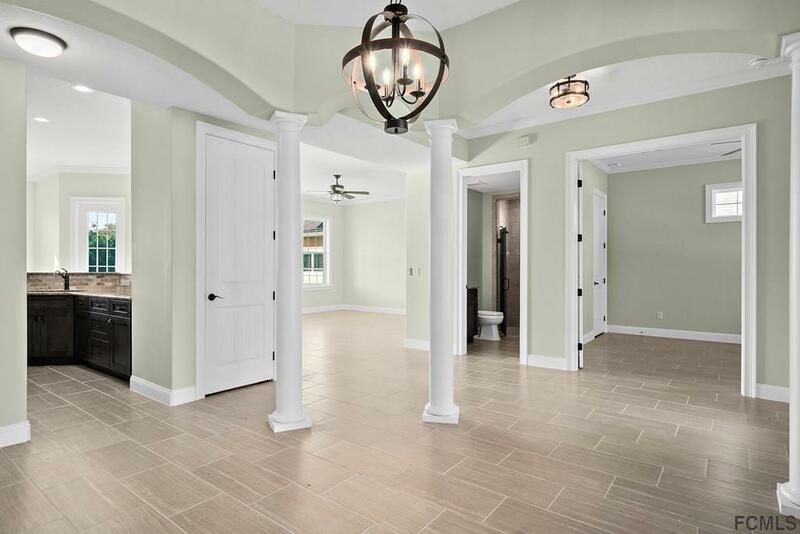 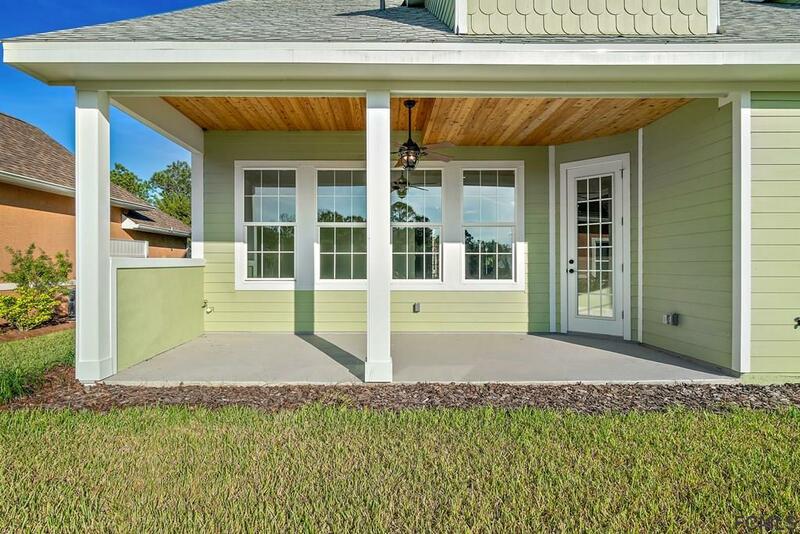 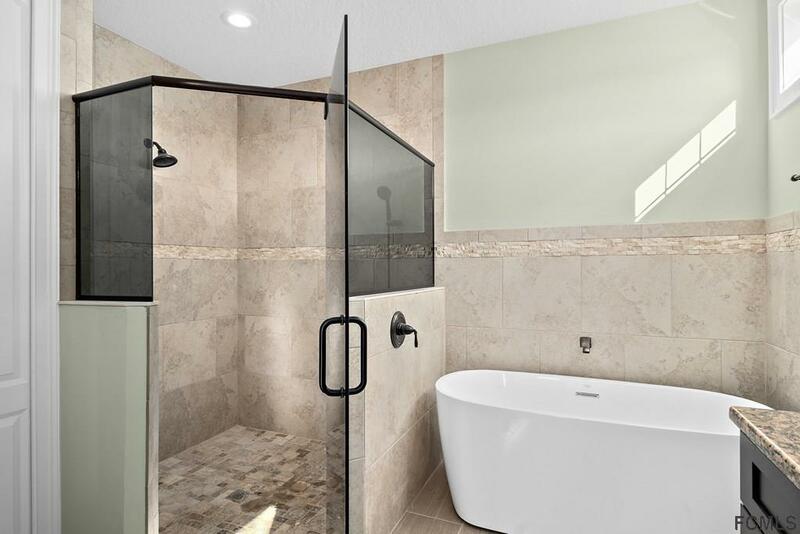 A lot of quality features include crown molding, lots of tile, hardi-board clapboard siding with stone accents, pavered driveway and covered porch area. 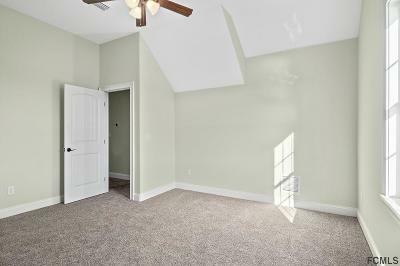 1st floor consists of a large great room, dining or formal living area with guest bedroom or den with closet, full bathroom, master bedroom suite. 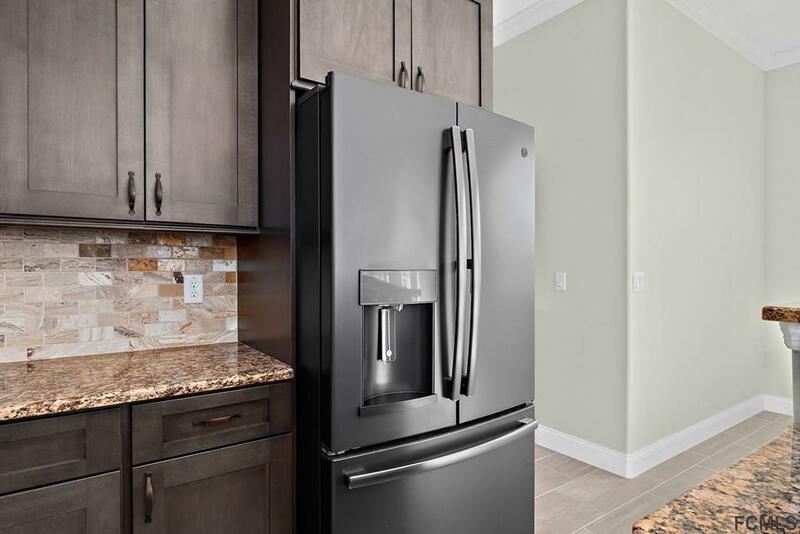 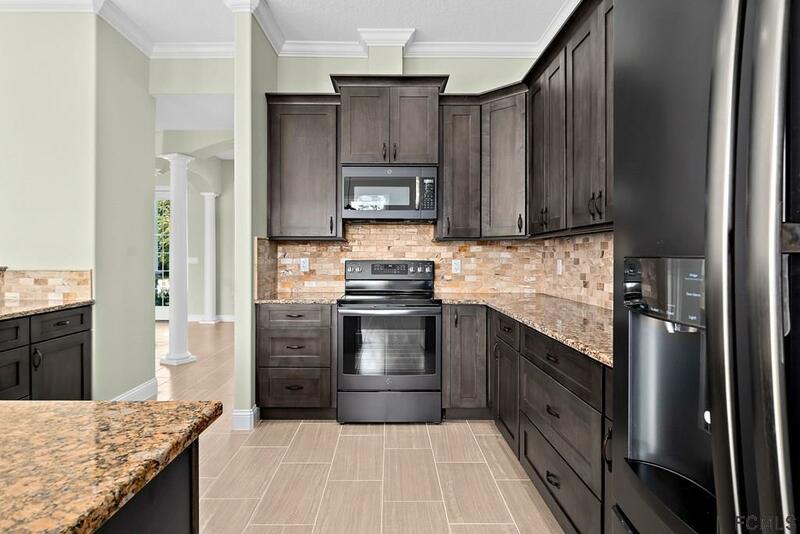 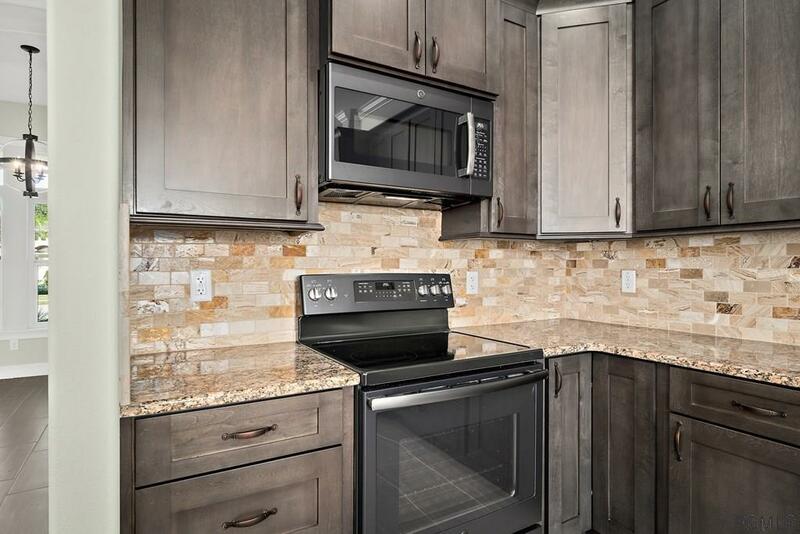 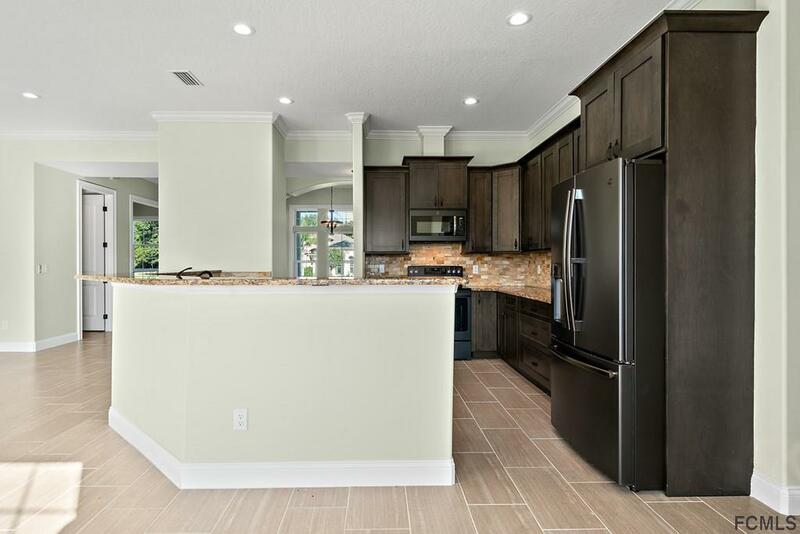 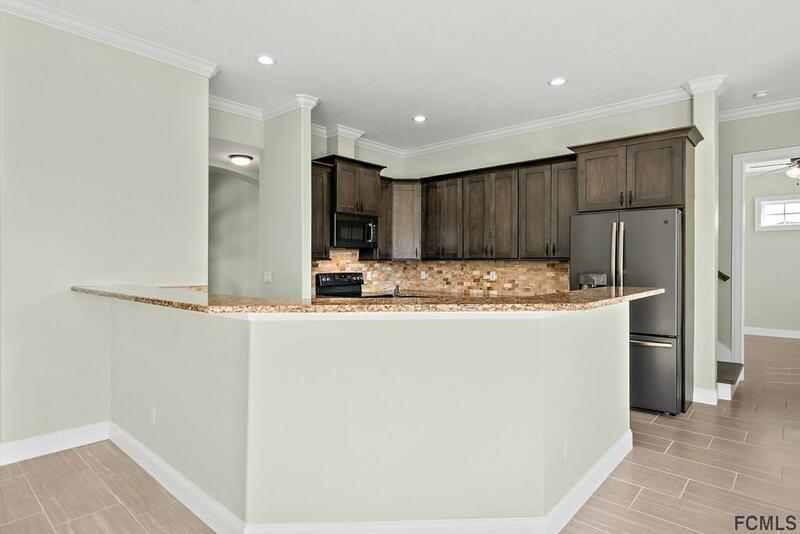 Kitchen is nicely upgraded with granite counters, cabinets with drawers, stainless steel appliances and tiled backsplash. 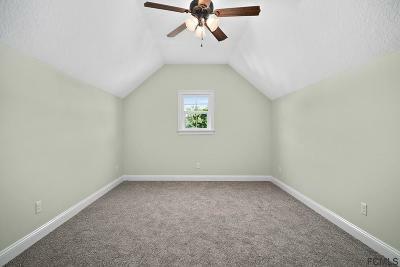 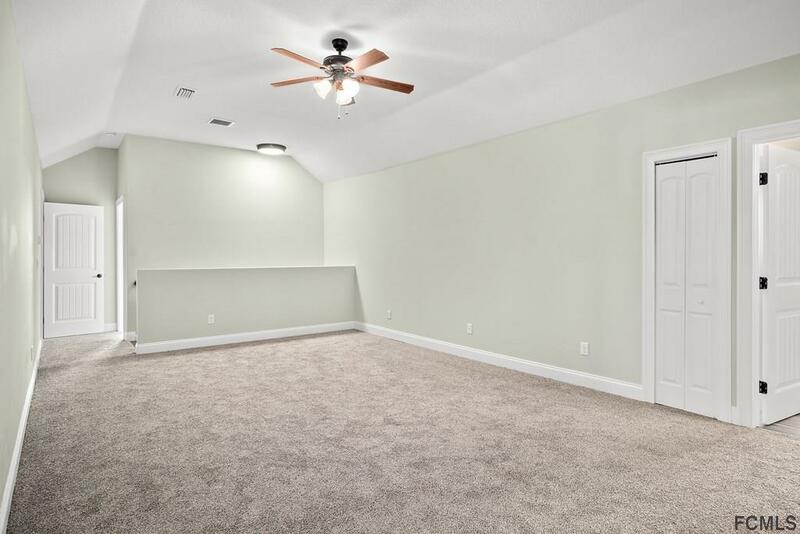 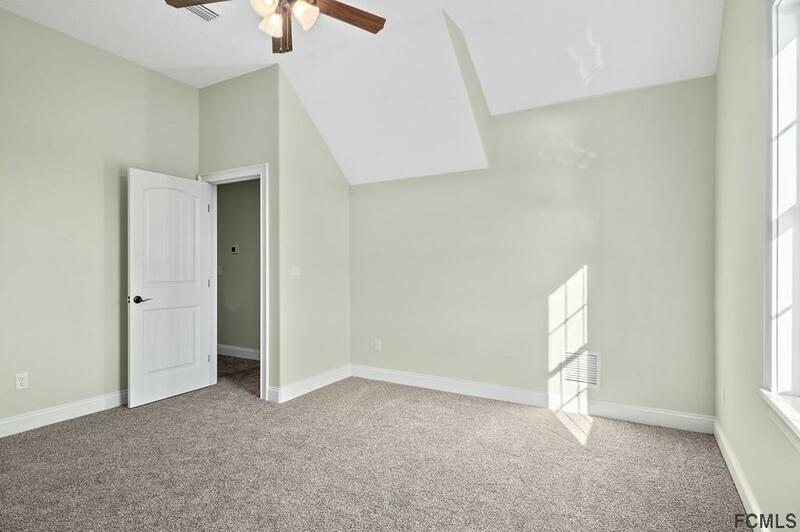 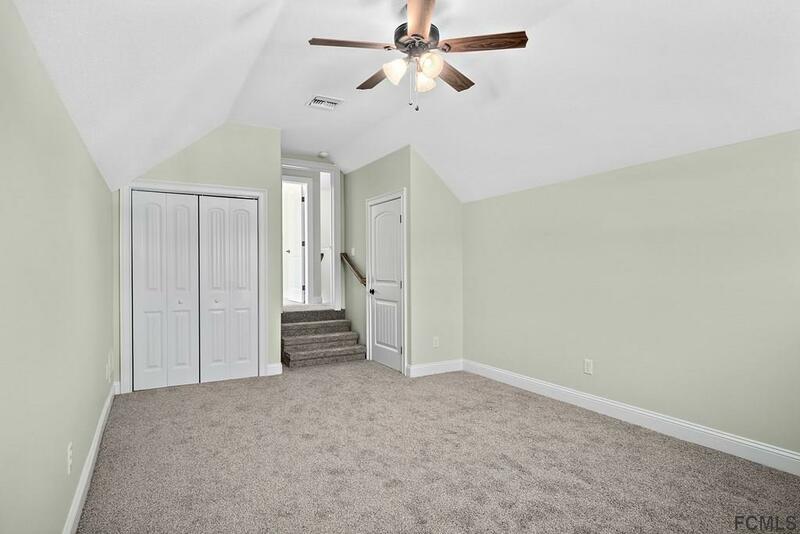 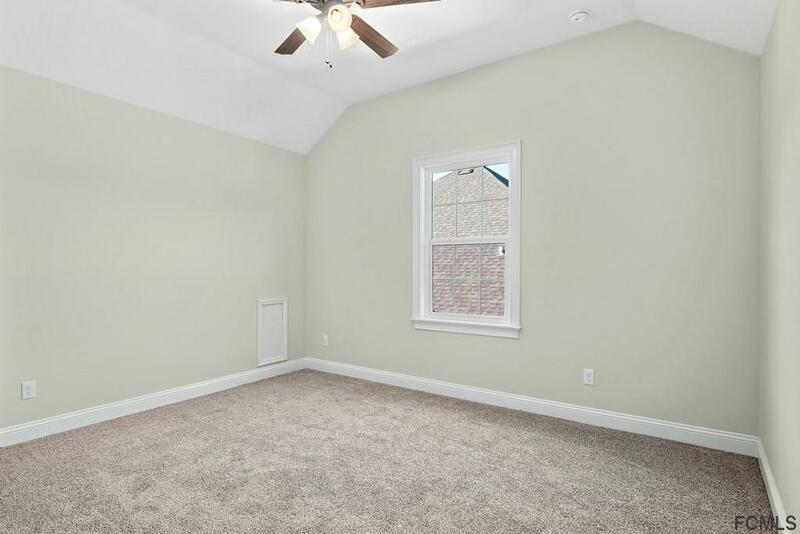 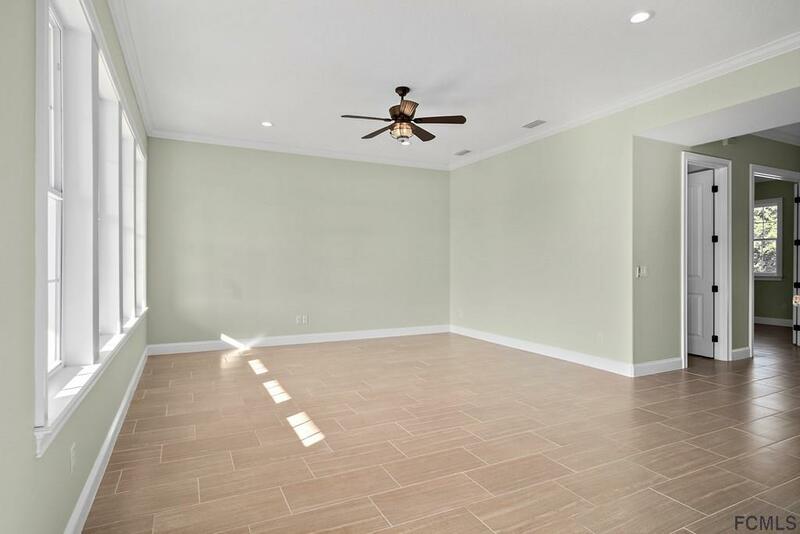 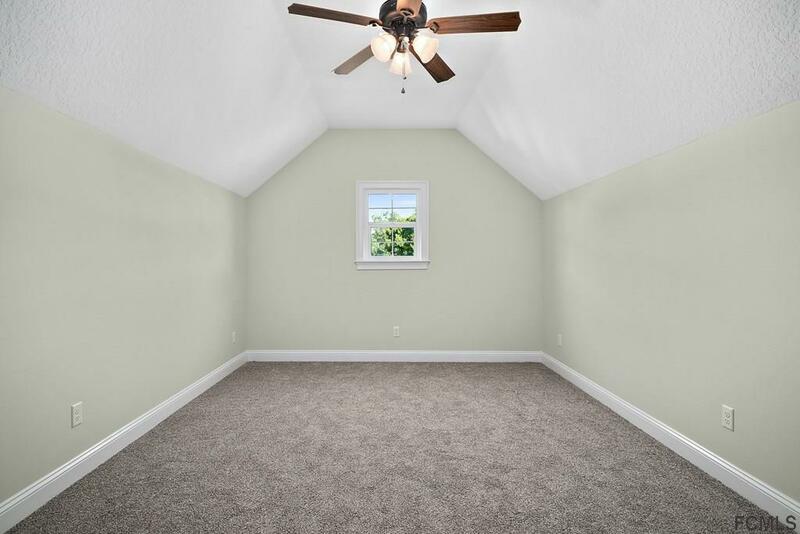 Second floor has a large loft area for additional living room space and or game room, 3 additional bedrooms and den that could be used as an office or playroom. 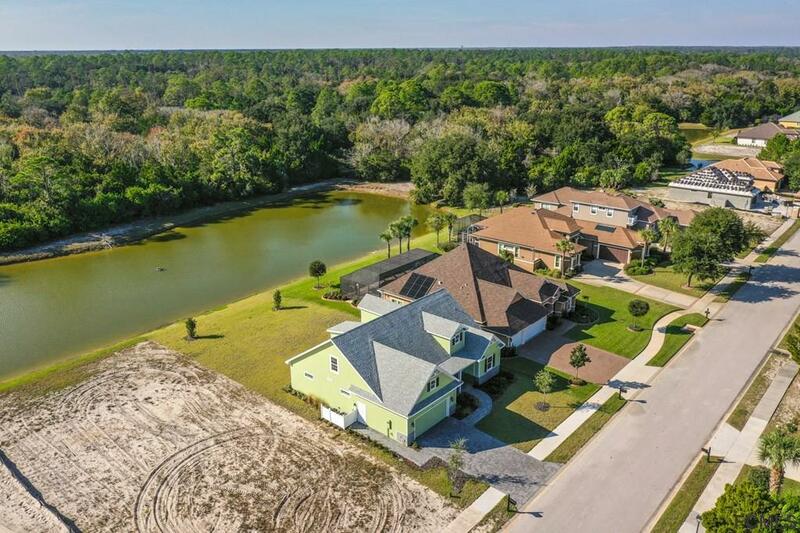 All this & more situated on a nice lot with pond view with no homes across for added privacy and plenty or room for a pool. 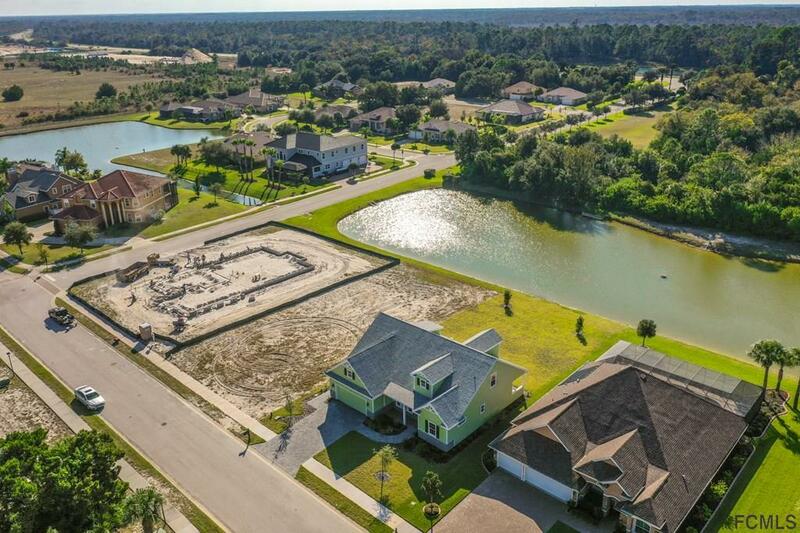 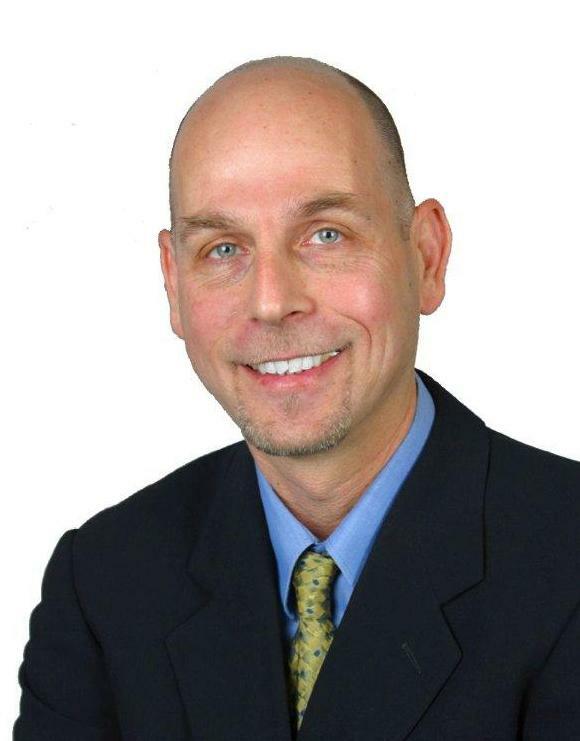 Live the fun lifestyle with all that this fine community offers.